Add some extra funkiness to your bass tone. 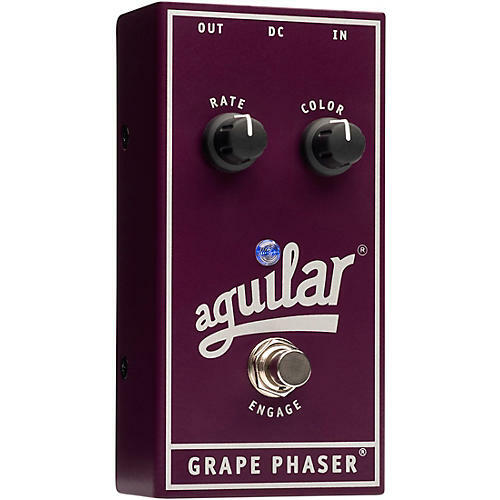 The Aguilar Grape Phaser provides lush, analog phase shifting courtesy of a simple, two-knob layout. RATE controls the speed of the modulation while COLOR feeds a portion of the signal back through the phase shifting circuit, creating new and super funky bass sounds!